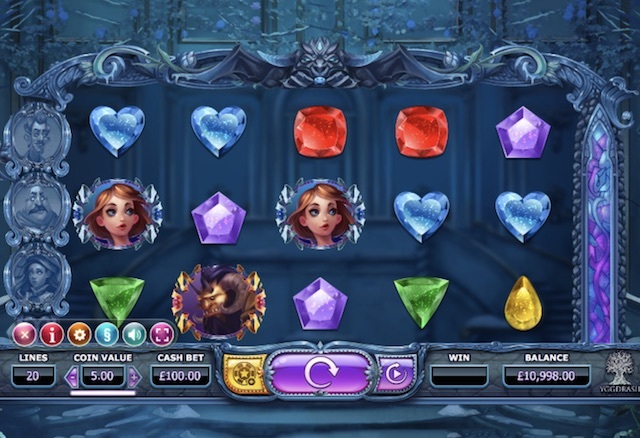 In February 2017 Scandinavian games studio, Yggdrasil Gaming released their new slot based on the French Fairy Tale, Beauty and the Beast Slot. Typically, it features stunning visuals, including a cracking intro video that sets the scene. It follows in the footsteps of NetEnt’s popular Fairy Tale Legends series, which continued with Hanzel and Gretel in the same year. This is a 5 reel and 20 payline game that includes three random bonus features in the base game, including Wilds, synced reels and Nudges. There are also Free Spins that can be re-triggered. Whilst Beauty and the Beast is basically a low volatility game, there is the option to increase your stake with a Golden Bet which increases the volatility to medium. 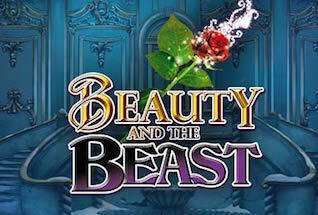 Beauty and the Beast slot RTP is between 96.3%-97.1% again dependent on how you play. So, of course the game is available to play on mobile, desktop and on tablet format, in real play or fun play modes. And you can enjoy it right now at one of our favourite casinos, BGO Casino. Or, for a full review, including an explanation of all the features, read on. As we have come to expect from new games out of the best Scandanavian slots studios, Beauty and the Beast comes with a rich and beautiful set of graphics. The setting is an old theatre. The lower value symbols are made up of different-coloured gemstones. The higher value symbols are characters from the story, including the beauty and the beast themselves. There is also a wild, which is a broken mirror, that will substitute for all other symbols bar the scatter. Setting up your gameplay on any Yggdrasil Gaming slot is easy enough. The 20 paylines are fixed, and the coin value can be set from 0.01 to 5.0, giving you a cash bet of 20p to £100 per spin. You can also add a Golden Bet to your stake at any point in the base game, which adds three more features to the game – more on that in a minute. Chef Feature: Here the middle three reels synch so that the same symbols are on each – just like NetEnt’s Twin Spin. This happens for one spin only. Butler Feature: When a better winning combination is available then a reel can nudge itself one place up or down. This can happen in tandem with the Chef Feature, and all three reels will move. Maid Feature: An extra two to four wild symbols are added to the reels during this feature round. Golden Bet Feature: This is an optional add-on bet that gives you access to three more features. Firstly, The Boost (costs 5 coins) gives you two extra picks in the Free Spins round instead of 1. Then the Nudge (costs 15 coins) gives you extra nudges with Free Spins symbols to increase your chances of progressing to Free Spins rounds. Finally, Boost and Nudges (at 30 coins) combines the two previous options. Free Spins Bonus Round: This will be triggered by three, four or five Free Spins symbols (giving 10 FS, 10 FS and 1,000 coins and 10 FS and 5,000 coins respectively). For your Free Spins bonus you can choose to have one of the extra features added for your spins (Chef, Butler or Maid). Free Spins can be re-activated up to two times. This is a really fun game from an exciting game provider. There is a lot to think about before and during the game to get the best out of it. 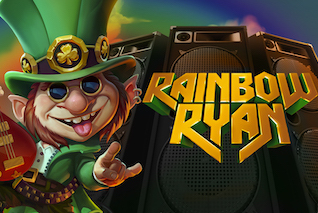 Turning the Golden Bet Feature on can be worth it to get more out of the Free Spins round. This is a low to medium volatility game, so making it though to the bonus round isn’t that hard, and if you have the Golden Bet on when you get there, extra boosts and nudges can make all the difference.